Galway is a wonderful town with nice views, a great pub and food scene, and an overall lively place to be. Sooner or later though, I yearn for a bit of peace and quiet and a slower pace. Manny visitors to Galway trek out into the Connemara and we decided to head south into The Burren. 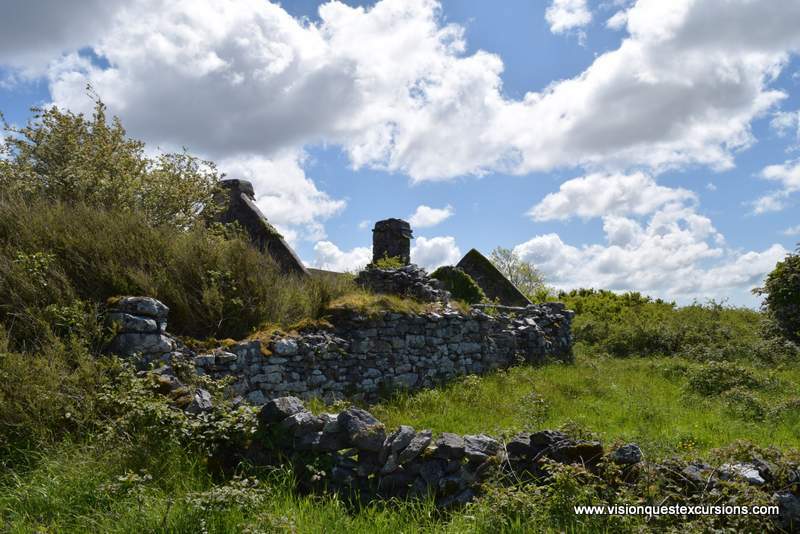 A dear friend of ours at Ancient Ireland Tourism mapped out a day trip for us a day ahead and we enjoyed every minute of it. Heading out of Galway on the Limerick Road, head for Kinvara following the Wild Atlantic Way. Along the way, stop off and see Dunguire Castle right before entering Kinvara. Parking can be a bit of a challenge along the road and in tiny lots but continue down the road until a spot opens up and walk back to the castle. 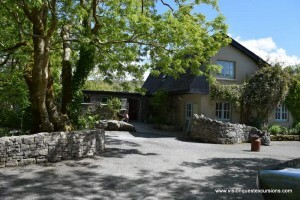 The castle has been restored and enjoys an enviable location right on Galway Bay. There is a nominal entry fee although worth the price. The banquet hall is decorated as it would have been in the 1500’s and the upper level has been converted to loving quarters from when Christobel Lady Amptill lived there. Venture outside on the narrow ledge which wraps around the tower to enjoy stunning views in all directions. Before leaving, check out the gift shop. Thom Brady makes unique, handcrafted jewelry and his creations of glass on metal are most interesting. We also picked up a knitted wool shawl in the shop which is absolutely lovely. 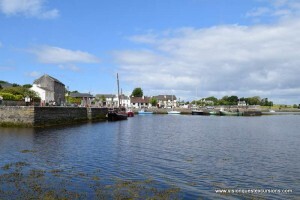 Heading into the center of Kinvara pull over and park by the pier. Enjoy the shops and the views of the small harbor and fishing boats. If in need of refreshments, stop into Connollys Pub (music) and say hello to Cathol, the owner or Greens Pub (conversation) and meet the proprietors Mary, Hillary and Collette. We stopped to see the harbor and continued on our journey with plans to stop in the pubs on the return trip. Head down the road into New Quay and if it is time for lunch, stop at Linnanes Lobster Bar on the water. If in the warm season, there is outdoor seating as well. Grab a bite to eat or enjoy a pint before heading down the road. Next point is Flaggy Shore, simply follow the road signs. 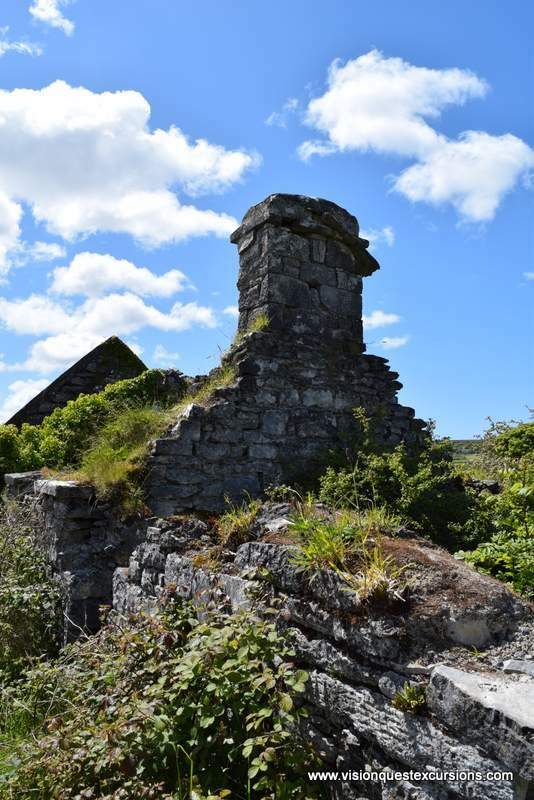 Park and take the 3 km walk along the shore and enjoy the wonderful views of Galway Bay. Note the houses along the walk as some are to let so they might offer ideas for the next Ireland vacation and the opportunity to let a home right along such a beautiful waterfront. Next up is to head inland into The Burren on the Carran Road. This is a very scenic ride over the landscape with a couple of interesting stops along the way. 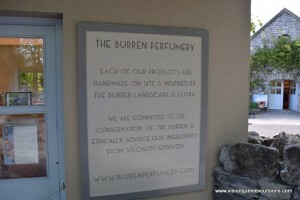 The Burren Perfumery is worth an hour or so visit. They blend perfumes here, many from flowers which grow in The Burren as well as offer handmade scented soaps. There is plenty of parking, and this is a quiet place to grab a snack in the cafe or to take a stroll through the well maintained garden. For chocolate lovers, stop at the Chocolatier. Unlike most chocolate factories, this establishment actually roasts their own cocoa beans so they control the entire process from start to finish. They do offer tours although when we visited they had a production run in progress and were not taking visitors. Here too you can find a cafe for a drink or snack, as well as restrooms. Before leaving, be sure to pick up some Irish milk chocolate made with milk from Irish cows! 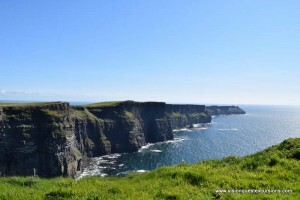 We had plenty of time left in the day so from here headed out to the cliffs of Moher which are stunningly magnificent. There is a large visitor center there and plenty of parking. A visit to the cliffs should take an hour or two. When heading back, remember to stop in Connellys of Greens when passing back through Kinvara for some Irish music and a bit of craic. 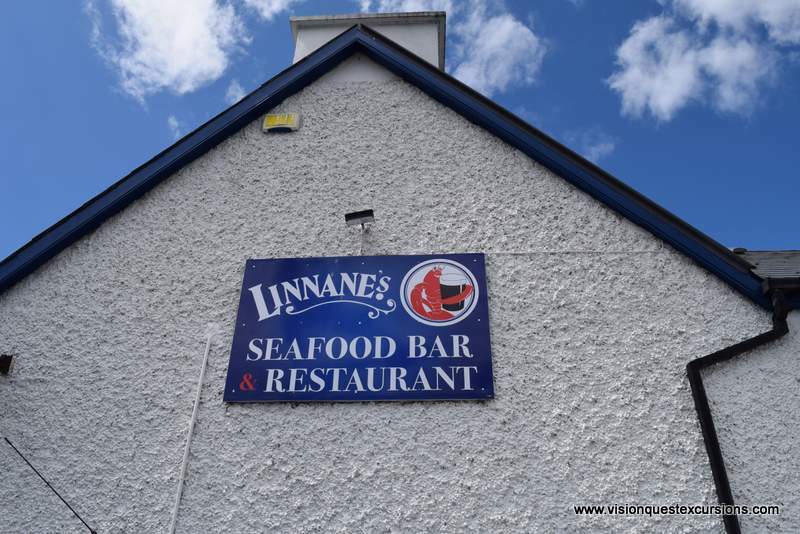 Once back to Galway, head to the Latin Quarter for the pub scene or enjoy a delicious dinner of locally caught seafood at Fisherman over in Salthill.